Dubai, UAE, December 09, 2018: Tonight, in the company of Dubai’s VIPs, media and tastemakers, Joe’s Backyard celebrates their grand opening at the Holiday Inn, Dubai Festival City where guests will dance to the sounds of Abri & the Radius Funk. Chef Andrea Way opens up his grandfather Joe’s Backyard. Hailing all the way from Tennessee, USA – Dubai becomes homage to barbeque, good times and a hangout for family and friends. With a braai measuring a whopping 2.5 metres, Joe’s offers a greatest-hits of flame-grilled flavors from around the world, including Australia, the US, South Africa, Brazil and Argentina, matched with a laid-back ambiance and diverse beverage offer. Located on the 19th floor of the Holiday Inn, Dubai Festival City, with awesome views over the Dubai skyline and the Burj Khalifa. The menu showcases the best produce cooked simply, from prawns and snags to ribeye and chooks, matched with specialties such as braised and slow cooked meat – all seasoned with Joe’s secret baste mix…when matched with the lively beverage offer, guests are in for a flaming good time! With crowd favourites such as veal sticky back ribs and brisket sliders making an appearance alongside salads and chargrilled cauliflower, guests are guaranteed to leave satisfied. Main courses include steaks, Joe’s eight-hour smoked brisket, lamb chops and The Backyard Chick alongside salmon, tiger prawns and catch of the day for those that prefer a seafood selection. A highlight of the menu is the locally-sourced Mixed Bangers boasting chicken and cheese, beef chorizo and lamb and zaatar sausages fresh, the tasty trio are not to be missed! Now the festive season is well underway, Joe’s terrace offers a cook-out to remember alongside friends and family. With Christmas Eve and Christmas Day set menus starting from AED250 for soft drinks, check out the braai for a Christmas dinner with a Joe’s twist. With breathtaking views of the Dubai skyline, Joe’s is the only place to see the return of Dubai’s iconic Burj Khalifa fireworks. New Year’s Eve set menu packages start from AED499 for soft drinks and AED649 for house beverages. Beyond the phenomenal smoky taste, barbecue is about the social gathering and ambience of people coming together for good food and a great time. 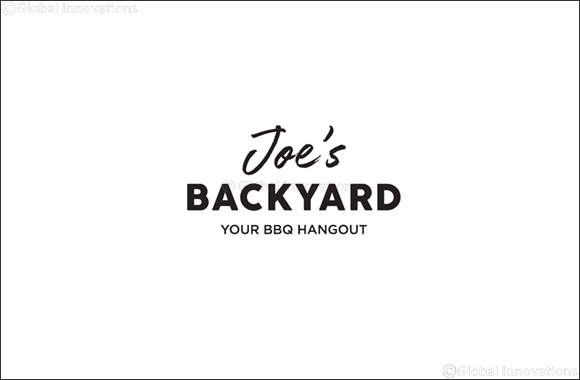 These iconic memories and lively moments formed the inspiration for Joe’s Backyard. How’s that for some sauce? !